This verse depicts my sleepless night as I cry my heartache to my Lord Jesus Christ. Posted in Scripture Verse and tagged Bible, Experience, Isaiah, Jesus, Lord, Poetry. Bookmark the permalink. Today’s scripture reading inspires me to the above poetry. The scripture is 2 King 17:36 inspires me then John 1;14:6 resonates in me. God bless you all for reading my poetry to minister. Posted in Poetry, Rhyme / Rhythm and tagged Abba, Bible, Christ, Creator, Experience, Father, Fear, God, Heavenly, Holy, Immanuel, Jesus, Lord, Messiah, Poetry, Rhythm, sacrifice, Saviour, Scripture, Son, Song, Spirit, Surrender, Word, Worship. Bookmark the permalink. >Freedom to roam and wander came to my mind. 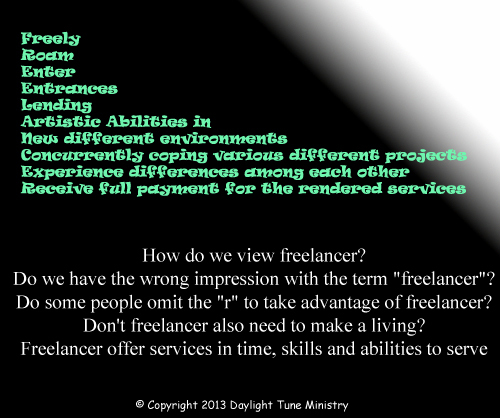 That is how the idea of freelancer is defined. This acrostic poetry is dedicated to freelancers who also help to build and expand God’s kingdom in their time and skills. Some freelancers are taken advantage. I wonder is it due to the term “freelance”. God bless you all for reading my poetry to minister. Posted in Acrostic, Poetry and tagged Abba, ability, artist, Artistic, Bible, Christ, Concurrent, Cope, Creator, Different, Enter, Entrance, Environment, Experience, Father, free, Freedom, Freelance, Full, God, Heavenly, Holy, Immanuel, Jesus, Lord, Messiah, new, Payment, Project, Receive, Render, Roam, Saviour, Scripture, Service, Son, Spirit, Word. Bookmark the permalink. How do we perceive age? Where do we find counsel? Who is the counsellor of our life? When do we seek counsel? Who have been caring for us since young? What do we do towards our aged parents? 1. The length of time that one has existed; duration of life: 23 years of age. In today’s society, I realised the old home age is increasing in number. More children choose to leave their old aged parents into old folks home. A very sad sight. 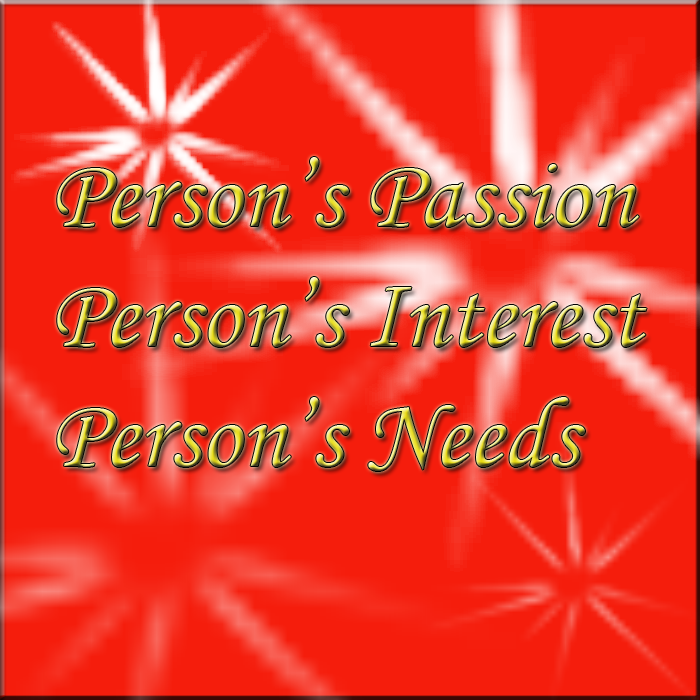 Most senior positions in corporate world are people with a certain age and experience. When they reached the peak, they were given long holiday. Is that how we treat the aged? 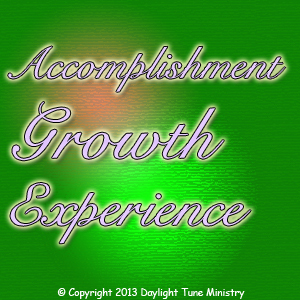 Posted in Acrostic, Poetry and tagged Accomplishment, Age, Bible, Christ, Creator, Experience, God, Grow, Growth, Holy, Jesus, Lord, proverbs, Scripture, Son, Spirit. Bookmark the permalink.